But who? Do we know anyone who’s had one cleaned recently? Or do we take our chances on the interweb? As with most jobs that require a man ( or woman ) to be called in, carpet cleaners seem to be up there with the most scarey. Unlike other trades, there seems to be a wider range of perceptions about what exactly the process will be after we commit to booking a cleaning professional. It’s more clear cut with plumbers and electricians. They are either qualified or they aren’t. 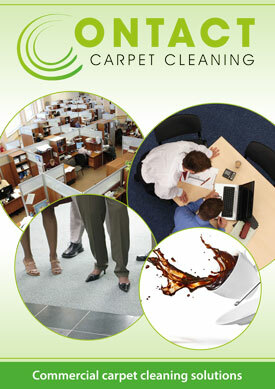 So what should we look for when considering a cleaner? Here’s a few points that may help you sort the wheat from the chaff. Insurance: Ask them if they have any. In particular, some sort of specific ‘treatment risk insurance’. This covers the cleaning technician for the item they are working on (i.e. your carpets) some won’t have this, and won’t necessarily be covered if they damage your carpet during the cleaning process. Most, if not all, will quote public liability insurance. But this alone is usually not enough. Relevant trade organisation membership: Most credible cleaning firms will value, and hold membership of one or more organisations that require a minimum standard of workmanship and knowledge. The NCCA (National Carpet Cleaners Association) are a good example of this and offer advice to consumers, as well as associate members. A likeable person: We all know that being able to feel comfortable in the company of someone is no guarantee of trust, but it’s a great starting point when starting out building a relationship with a new tradesman. It’s not essential for us to be on first name terms and add them to our Christmas card list, but at the very least, we should get a good vibe from them. After all you are inviting them into your home. Go with your gut feeling. If they are abrupt when you initially call them, they in all likelihood will be abrupt with you when cleaning your bedroom carpet. Testimonials: There are varied percentages bandied around on this subject, but a quick online search flagged up between 71% to 90% of consumers, trust and buy because of positive reviews. Presumably they also choose not to buy in the same way? This is where you may get a glimpse into the type of people you may employ, as well as honest warts and all opinions of the workmanship. Beware, this can also be fabricated so a bit of reading between the lines may be required to determine authenticity. Personal recommendation: Probably the safest way to find someone, however not guaranteed. I spoke to someone recently who had had three different builders to complete a small project. All had done excellent work for three different family friends previously, then all had let my client down badly. At the end of the day it can be a bit of a lottery, but some smart research should get you the right man (or woman) for the job.